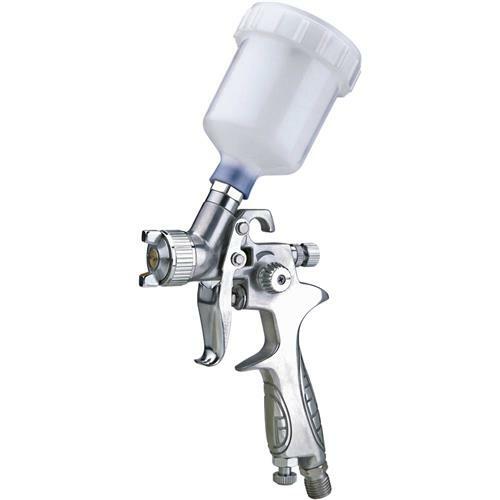 This HVLP Mini Spray gun features high volume, low pressure spray technology, gravity feed, and 1/4" NPT inlet. Includes wrench, cleaning brush, in-line filter, and hose quick-connect coupler. Material: Low to medium solids (lacquers, stains, epoxies). Not compatible with water-based materials.